Serrano School Raising Funds for New Wells! Ann Mundell-Noel shares about Arthur Magezi’s visit to local Serrano Intermediate school today, where dozens of Lake Forest, California youth gathered round to hear the latest news from Arthur about Uganda, and how the people are desperate for support for common everyday necessities – water, food, clothing – things we take for granted every day! 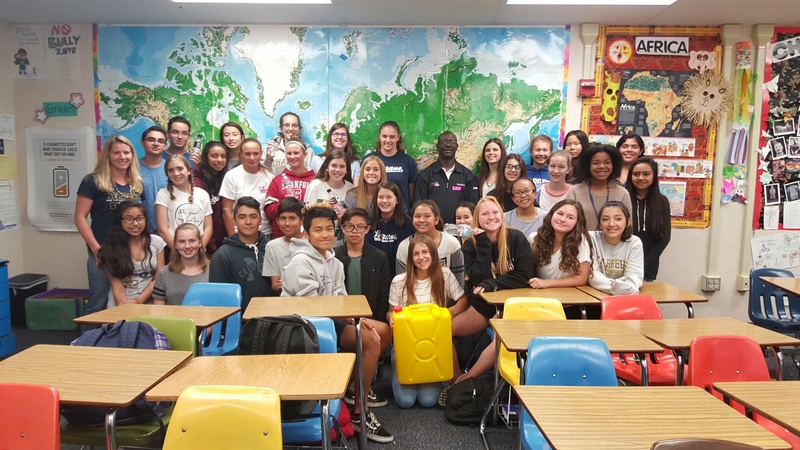 The young people were energized, and are starting a new campaign to recycle plastics and other articles to raise funds to help drill new wells in Uganda for fresh water. Who says our young people don’t have heart? Kudos to our So Cal youth!